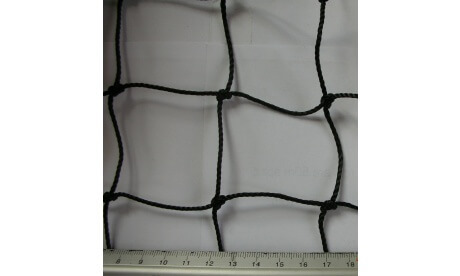 2mm thick black polypropylene netting with 50mm (2in) square mesh with 3mm black polypropylene border cord sewn to edges for extra strength. 10ft (3.05m) high. Make up your own netting system to suit your requirements exactly or to replace existing netting that has worn out or been damaged.